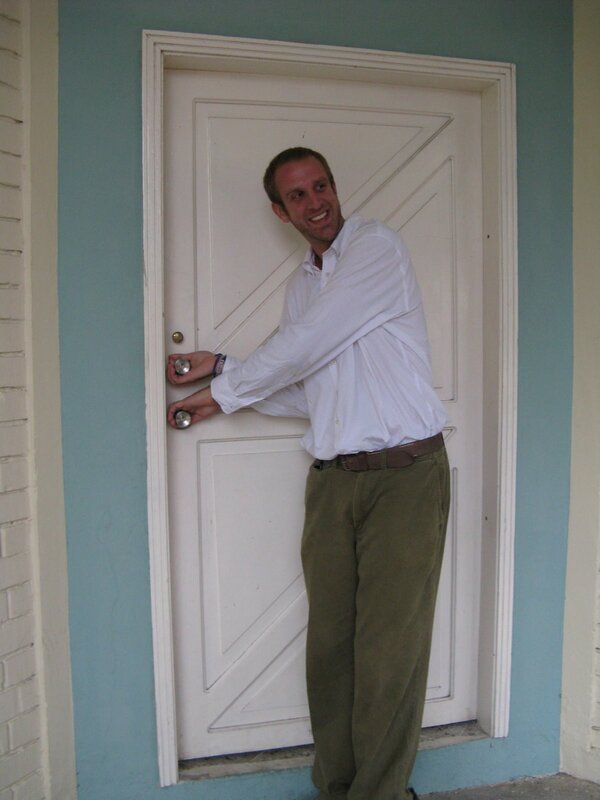 So Jesse’s door was broken…his doorknob only worked from the outside and his deadbolt only worked from the inside. Obviously this was fairly annoying and not very safe, so the maintenance staff came out and “fixed” his door…. 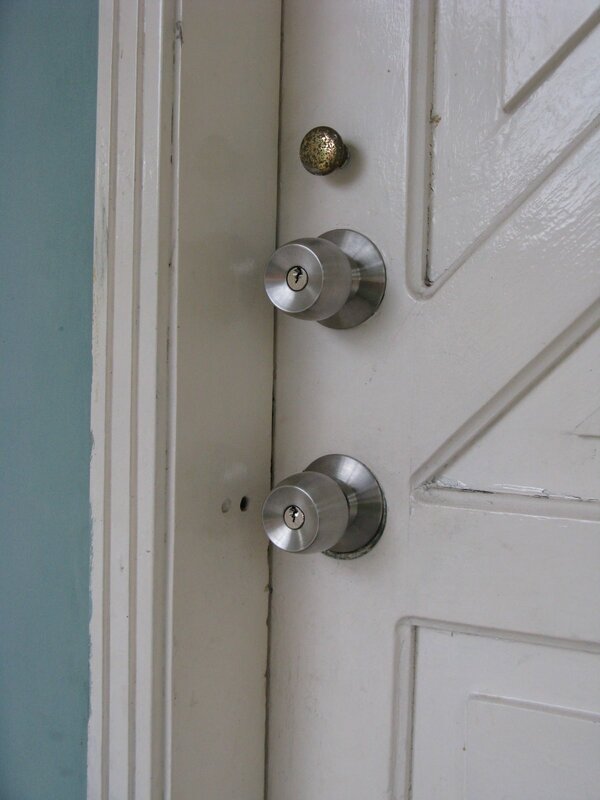 Yes, that’s two doorknobs…and believe it or not, they each take a separate key! Now in case you didn’t realize, that also means opening Jesse’s door requires two hands. No one-armed robbers will be breaking into Jesse’s any time soon!! I am so glad for Jesse. I think that it is a brilliant idea. because as it was pointed out the robbers need two hands, therefore they would not be able to hold a weapon or knife. Unless they try to do it like Tarzan and hold it on the mouth between their teeth. The solution it is good and hope it works, because did you think in case do not. They will install a third knob and then Jesse will be in big troubles. Two hands one foot??? What about if the robber has a wooden leg?? ?